Executive chauffeured cars are not limousines or a limousine service company. Let us start with this distinction and explain our way from there. The term chauffeur can refer to anyone whose job is to drive a car on professional basis, which also means someone experienced and skilled at this line of work. This type of professional can be seen behind the wheel of a luxury sedan, a limousine, or even a carriage pulled by a horse. The term driver is often reserved for a person driving a bus or a non-passenger car. A chauffeur is often hired to drive a client or an employer around to various destinations and those destinations are discussed during the job interview, or at the time the employer is more certain about hiring that person. The chauffeur can drive the passenger in the car the passenger owns or in a car owned by a company. Whether full time or on case-by-case scenario, the type of service has been normally required by upscale industry executives and individuals with more of a disposable income. However, this service has become a lot more popular by both busy executives and other types of individuals who like and prefer the comfort of stylish transportation in the back seat of a roomy automobile to fighting the traffic in a heavily congested city like Los Angeles. 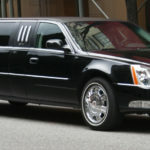 Executive chauffeured car services are offered by companies such as Anaheim Town Car Services operated by Jag transportation which includes Car Service LAX to Disneyland and provides the service using its own fleet of Lincoln Town Car Sedans, Private SUV- Chevrolet Suburban, Private VAN- Ford Transit 350, and the Stretch Limousine for group transportation. In the case of an executive chauffeured car service company like Anaheim Town Car Services, all the vehicles in the fleet are owned and insured by the company, and the road-savvy chauffeurs work for that company. Therefore, it is up to such companies to keep well-maintained, new line of cars while monitoring and directing its team of drivers to pick-ups and drop offs all over the city. Based on company rules, drivers are usually required to wear a uniformed set of attire, from dark colored suit and tie, to a uniform picked and prepared by the car service company. There is a dispatch and reservations team ready to answer calls and match clients with the right vehicle and chauffeurs. The dispatch operator assigns the job to the appropriate driver and helps the flow of daily transportation to and from various destinations. Therefore, there is a well-organized system put in place to make everything move smoothly and benefit the customers. There is a Black Car service by some companies which also provides Car Service LAX to Disneyland. This is the type of service where each driver, independently contracted uses his or her own car, and does not have to wear a required uniform. The call center for such a service is similar to a taxi cab service with the number of phone lines (many or a few) required to handle the work load. Chances are the person requesting the ride will get whoever is available, therefore, the quality of the vehicle, the appearance and professional attitude of the driver is not guaranteed. A lot is placed on the customer instead of the car company. Historically, these cars may not look as clean and new, or there may not be a real urgency in being punctual when picking up a client. The pricing for their offerings may also differ from one company to another. 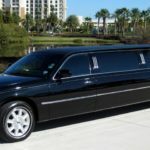 Regardless of the type of the car service, there are charges for additional, optional services such as the “Meet & Greet” service inside the terminal which means the chauffeur must enter a designated parking structure, leave the car to meet clients at the proper entry gate and accompany them to the car. These services and charges are based on what companies offer and how busy the airport traffic is in each city. This is why we wanted to explain what we do at Anaheim Town Car Services operated by Jag transportation. We are an executive chauffeured car service business and we take care of all perspectives so our clients can rest assured that they will be picked up on time and transported to their desired destination safely and promptly by experienced chauffeurs behind the wheel of a beautiful, clean, executive car. The benefits of having a highly skilled chauffeured service are quite a lot, especially in the very much busy, hyperactive airport like Los Angeles Airport (LAX). This time, at Car Service LAX to Disneyland, we took some moments to discuss some of them and elaborate why they can be a priceless asset in this gigantic city of ours. Save Time: It’s the first thing we all need more of, day in and day out. You’re just one call away from reserving the best suited vehicle with a professional chauffeur, ready to whisk you away, on time skipping the challenges of the road when possible. From alternate routes to safe practices that save you time and get you to your destination. Reduce Stress: By booking one of our spacious vehicles, driven by an expert chauffeur, you get to spend the time as a passenger and not a road racer from Mad Max movies, during rush hour, or worse, the rainy weather on packed freeways and roads. We live in a very much busy city with lots of traffic everywhere. Nobody wants to arrive to a business meeting stressed and tired from the challenges of the commute. You always arrive to your destination to get things properly done. Risking concentration and not giving your full effort can produce less-than-ideal outcome. We can take you pretty much safely to your destination with Car Service LAX to Disneyland as you spend the time relaxing, or fine-tuning & preparing those final details which will certainly help you make that grat impression, or feel at home, or to a weekend outing with a big smile on your face, and enough energy to enjoy it all. Saving money: Depending on your destination, the period of time you spend driving, parking prohibitions, traffic jams can all cost you extra money. Car rental rates, fuel prices, parking fees, all come out of your wallet while adding unwanted stress in case you get lost, or just can’t find that parking space you really need. Quality of service: Our drivers, your chauffeurs are seasoned professionals and have lived in Los Angeles for many years. Navigating the traffic of this magnificent city is what they do daily. They show up on time, are always courteous look presentable, and above all, they are well trained drivers who know the meaning of efficiency & safety. It is quite natural that Car Service LAX to Disneyland has made returning passengers out of most new customers, and we hope you’ll be one of them too. Airport Service: When it comes to pick up and drop off at airports all the above benefits apply, in addition to value, which is the door-to-door service and not having you dropped off in a nearby destination, expecting you to walk the rest of the way with other companions like children & heavy luggage. A clean & comfortable environment can also be stressed here which gives you a much more pleasant experience instead of using public transportation, with full of other passengers & many stops. Our cars are comfortable, efficient & tidy. 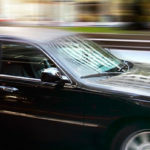 You know exactly where you are going and our chauffeurs know the best way and both the quickest & safest routes to take. 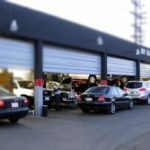 Los Angeles and the Rain: As it gets close to winter season, a huge amount of wet drops start pouring down on top of our homes, our cars, and our own bodies. We have to look up and remember what this not so usual occurrence is called Pour down. Here in the Los Angeles city something special happens when we are graced by rain. Some of us panic and at times, perhaps out of anxiety, we show this not-so-angelic side of our nature. It’s like being stuck in rush hour every hour of the day. The rain makes us confused, mainly because we don’t get healthy doses of it during the year, and when it finally comes down, the roads become greasy, risky paths to be on and this event brings out everything from erratic driving, horns honking, bad vision, road rage, and accidents. Relying on Car Service LAX to Disneyland to get you in an out of wet roads and traffic jams can be a great decision. Just make sure you call and reserve your ride in advance.